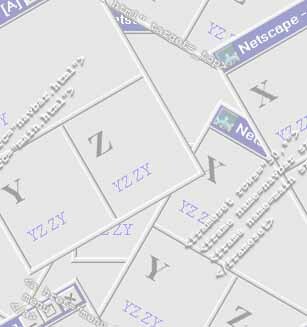 Netscape's frame extensions to HTML let web page designers split the browser view into multiple windows, with each window displaying an independent web page. In framed presentations, hyperlinks in one frame can be programmed to update the content of adjacent frames. This makes it possible for web programmers to build visually pleasing websites with intuitive navigation interfaces. Frame extensions also make it possible to launch multiple browser windows and to control the contents of each window through hyperlinks embedded in other windows. It wasn't until recently that Netscape's frame extensions were officially adopted by the WWW consortium as a standard HTML feature. However, their widespread use throughout the Web community has made them a de facto standard for quite some time. New browsers that do not support frames are almost never taken seriously. In five easy lessons, this tutorial will teach you everything you need to know about frames to get them going on your web site. © Copyright 1997-2000 Sharkysoft. No part of this tutorial may be reproduced (or mirrored) in any form without consent from Sharkysoft.